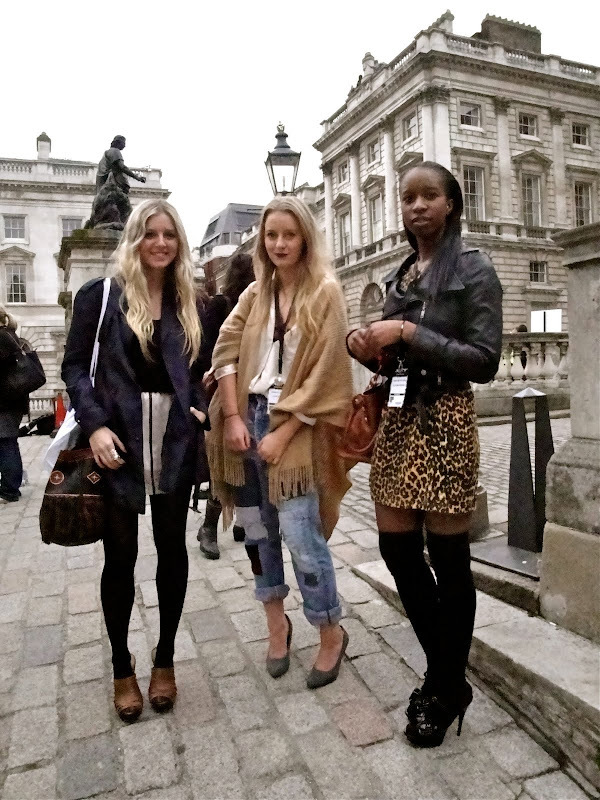 london fashion week kicked off yesterday at somerset house. i have never seen so many beautiful and stylish people (umm... and furs) confined within such a small space. it was insane. i had no idea what to expect, it was the first time that i had been. i didn't have a pass but i decided i would just wing it... turns out winging it works quite well. i had an absolute blast. met loads of fabulous people darling (i'm totally picking up the lingo, right?) and seriously can not wait to go back next week. sadly i only had three hours to shoot people (between classes) and something wonky happened with my camera midway where the photos are really grainy. my fingers were literally numb and i could hardly press the button to take a photo... i must have accidentally messed with the settings. 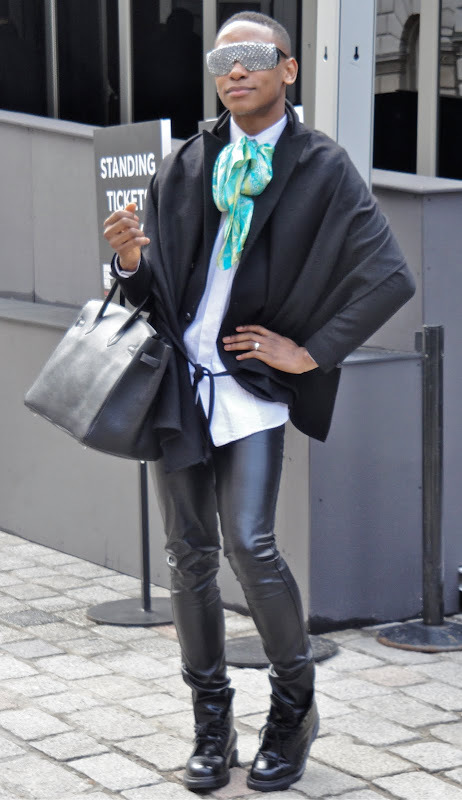 never mind though, they will have to do for now... on a side note, i honestly do not understand how people survive a whole week of fashion week? i have had a whirlwind of a time since i went... i have been up for 33 hours straight... it is a long story (so forgive any incoherence that is happening here). anyways, ladies and gents this is just the first of many photos to come... to give you a little peak at what this whole fashion week thing is all about. Hilary Alexander (fashion director for the daily telegraph and a bit of a legend) being stalked by photographers and cameramen. Sarah Brown (the prime minister's wife)... I was the only person taking her photo as she walked by. everyday people turn into celebrities if they've got a look that catches someone's eye. out of control, over the top, surreal outfits... worn with the utmost of confidence. after all, that it is the only way to pull off some of these things. i can't wait to show you more.... oh, and if you recognize or know anyone in any of these photos please just send me an e-mail or a comment and let me know their names or what they do - i'm happy to post it on here. everything happens so quickly and people are in such a rush that there is hardly any time to catch people's names or what they are wearing... let alone write it down.